Just when I think I can not possibly read one more book about World War Two, something like ALL THE LIGHT WE CANNOT SEE, by Anthony Doerr, comes along. Every single thing I’ve heard about this novel is true. Yes, it’s fabulous; yes, it’s unique, and yes, it’s one of the best novels of this year. That’s why you’re going to want to read it. 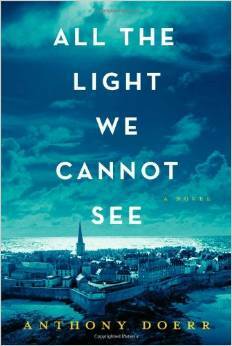 ALL THE LIGHT WE CANNOT SEE, was a finalist for the National Book Award. I think it should have won! Every book club I know has ALL THE LIGHT WE CANNOT SEE on its list for this year. As well they should. Anthony Doerr begins his brilliant novel with the end. So it’s safe to say it begins a few months after D-Day, 1944. The setting is the coastal, walled city of Saint Malo, France. The city had been almost totally destroyed by fire. Only 182 out of the 865 original buildings were left standing, and those were damaged to some degree. We meet a sixteen-year-old French girl named Marie-Laurie LeBlanc. She’s the last one standing in the tall, narrow house at number 4 rue Vauborel. There she is alone on the sixth and highest floor. She’s kneeling over a model scale of the house. A model her father made for her before he disappeared. And the story begins. Told in short, meaty chapters, this amazing story begins in Paris before WWII. Marie-Laurie is living with her widowed father who is a locksmith at the Museum National d’ Histoire Naturelle. Marie is slowly losing her eyesight to cataracts and will eventually be completely blind. Her father, determined to help her keep her dignity, has managed to design and build models of their home so she will always be able to find her way around. Werner Pfenning and his sister are being raised in an orphanage in Germany. Werner, we quickly discover, is not only quite smart, but, he also has an innate interest in radio mechanics, he will go on to use this to raise himself into a higher level in his country. In fact, once the Nazis get wind of his special knowledge, you can only image where this may take him. When the Germans invade France Marie-Laurie and her father flee Paris. Off they go to what they hope is the safe haven of great-uncle Etienne’s home in Saint Malo. Surely this remote city is safe. Etienne has been a recluse since surviving the Great War. What Marie-Laurie does not know is that they have in their baggage a priceless blue diamond. Or is it just a perfect replica? Three exact copies of The Sea of Flames were made. You see, the French were hiding it from the Germans. ALL THE LIGHT WE CANNOT SEE is told through the voices of the two young people. We watch with horror as Werner is accepted into the National Political Institute Of Education at Schulpforta. And with even more horror as he moves up in the Reich. Eventually, Werner is put in charge of hunting down any radio transmissions. Finding the transmitters and exterminating them. We watch as he grows and begins to sense the wrong in this. And we wait, and wait, for Werner and Marie-Laurie to meet. Meanwhile, Marie-Laurie, finds a way to join the resistance, doing the little bit she can to hurt the German cause. And we watch her take her personal mission seriously. Each day she visits the boulangerie to pick up her loaf of bread. And each day she is one day closer to being found out. I can not say this is a love story. And it is certainly not a perfectly written novel. But it is a fabulously told story. 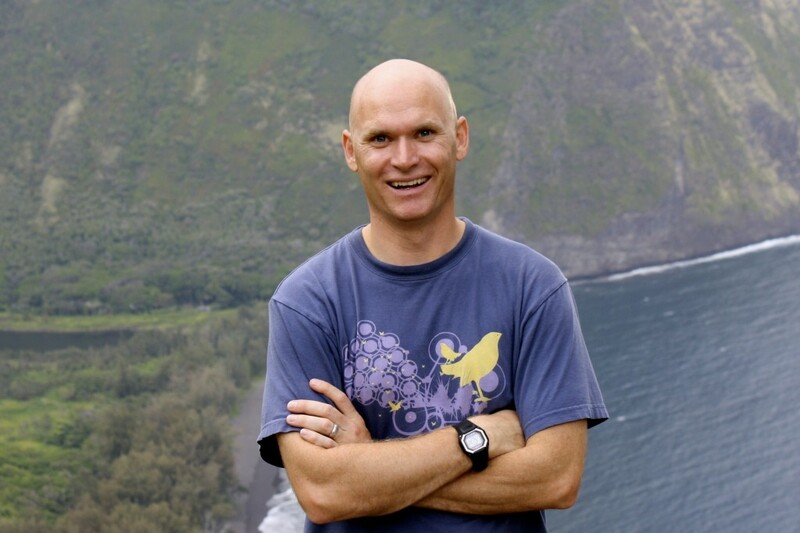 And Anthony Doerr is an author to watch! I can’t wait to see what he will write next. I have the generous publishing people at Scribner to thank for my review copy. Thank you so much. Great review. Now I want to read this one. Thanks so much Margie. I have had a review copy of this book since early Spring. I put off reading it because of Elaine Newton’s upcoming lecture. But could not wait any longer. It is a real keeper. I shy away from war books but everyone has said this one is a keeper. I see that you agree. I totally concur with your review. This book will surely be on Paradise Readers’ Book List for 2015. I’ll send to you the full list this weekend. Thank you for introducing us to so many great novels. You’ve really influenced our book choices for this year. Diane, thanks so much for the kind words. You have such a lovely group. It is my pleasure. This was my favorite book from 2014. Great review. Thanks so much Ti. I loved it too. This is a great read. I needed a Kleenex for parts of it. We are reading it for our book club.